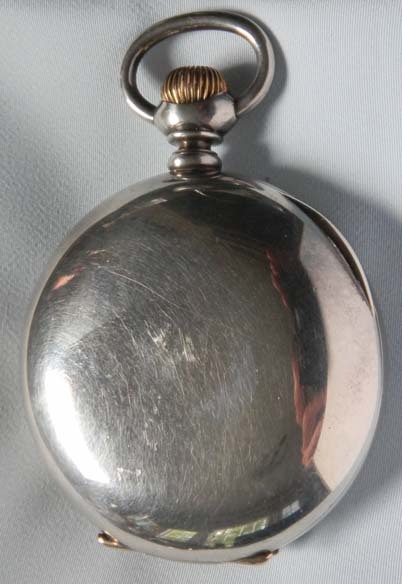 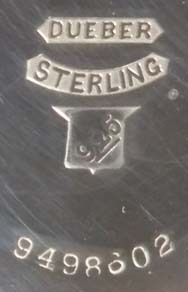 Fine large sterling Elgin deck watch circa 1909. 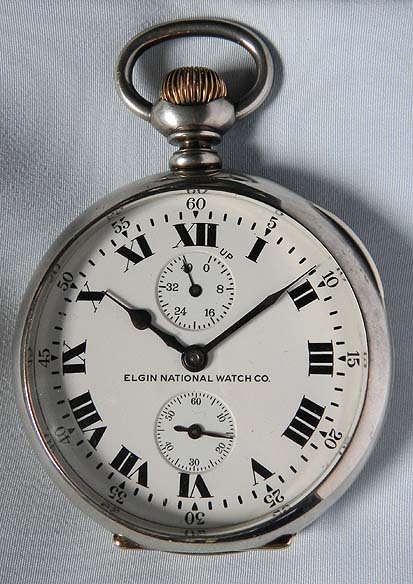 Fine white enamel dial with bold black markings and blued steel hands. 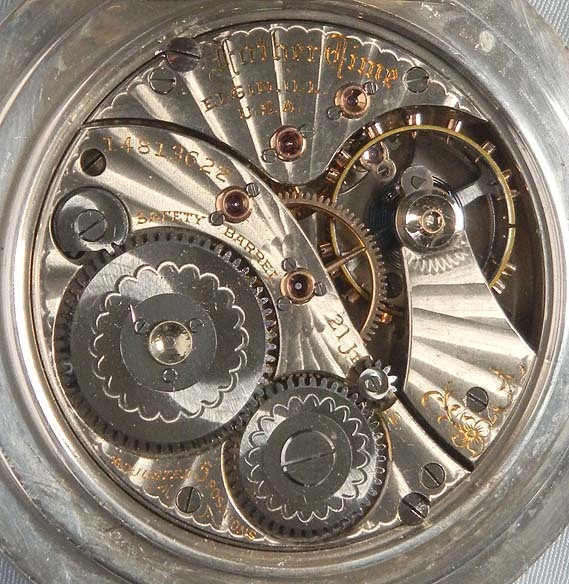 Wonderful 21 jewel Father Time freesprung movement with diamond cap jewel and screwed gold jewel settings. 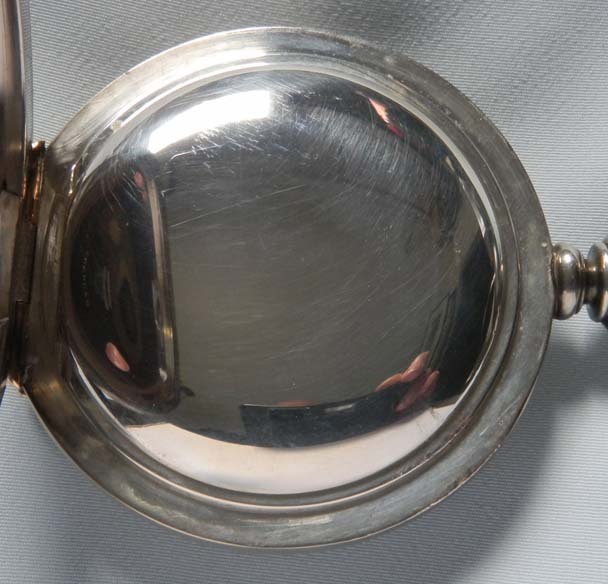 Deck watches are used to take the time from the ship's chronometer for use up on the deck.